Knowing exactly which attributes convey quality to wine buyers is the million dollar question every wine producer wants to know. Well, thanks to a recent international study conducted by Dr Roberta Veale, ABS Senior Lecturer and Program Director of Wine Business, the answer is firmly within producers’ control. With competition from new world wine producers such as Chile, Argentina and South Africa, achieving sales and profit targets, even in established markets, requires an understanding of the real cues impacting quality and price expectations. While extensive Australian and international research suggests consumers use taste and variety to identify ‘good’ from ‘bad’ wines, and determine wine quality and make purchase decisions, the ABS’ international experimental design proves that many extrinsic factors are significantly more influential. According to Dr Veale, wine marketers should never underestimate “the power of external wine ‘cues’ on consumers’ perceptions of quality and willingness to pay a premium price”. Dr Veale’s study investigated the influence of a combination of five extrinsic cues and one intrinsic cue on consumer expectations of wine price and quality at point of sale. These were: country of origin, closure type, award, label style, shelf position, variety and held constant (2007, alcohol level etc.). Duplicate experiments were conducted in Australia (Adelaide), Singapore, Germany (Kiel), the US (New York) and China (Beijing) using 653 respondents, with each country comparably represented. Interestingly, the respondents did not taste any of the wines presented, forcing them to use the cues provided to form a quality and price determination on the wines they assessed. The research was ground breaking. “Such a comprehensive range of realistic cues has never been tested simultaneously, across numerous international locations,” comments Dr Veale. 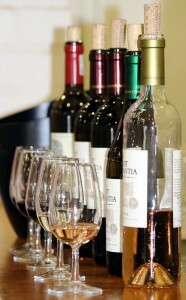 While existing research in this area used limited product cues (and levels within each) and relied on virtual presentations, pictures or descriptions of product offers, the ABS study differed significantly by using physical representations of ‘real’ wine bottles and exploring a combination of taste with other extrinsic cues. Awarded wines and those with cork closures were seen as slightly higher in quality and price (though there were significant differences across countries). Quite simply, as Dr Veale says, “Extrinsic cues consistently influenced consumer opinions more than the intrinsic cue.” Specifically, results indicated that awards, traditional style labels and old world origins are likely to induce higher quality ratings and price premiums, both locally and internationally. This is great news for Australian wine makers as they rely on international sales across a wide and diverse range of geographical markets. Most importantly, this insightful research means that wine producers will no longer waste resources promoting attributes poorly understood or considered unimportant by potential buyers. And they can take advantage of considerable potential opportunities by making sure the combination of attributes presented to wine buyers is as complementary as possible. This entry was posted in Connect, News, Research, Wine Business and tagged consumer opinions on wine quality, Dr Roberta Veale, influence on price and quality. Bookmark the permalink.